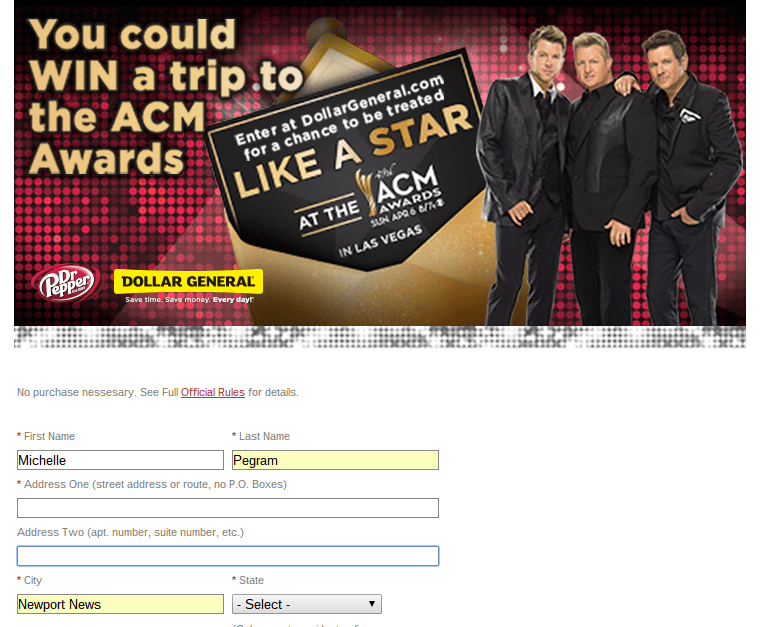 Enter to Win a Trip to the ACM Awards Including a Trip Down the Red Carpet! Are you a fan of country music? Have you always dreamed of attending the Academy of Country Music® Awards? If so, you’ll want to enter to win this new sweepstakes from Dollar General! As a child growing up in North Carolina, my parents mostly listened to country music so loving country music is pretty much in my blood. These days, my music tastes have certainly expanded into my adulthood, but country music is still close to my heart. It has some of the best mixes of beautiful music with strong vocals that really have a lot of emotion behind them. Some of my faves have been Reba, Garth Brooks, and thanks to my mom’s obsession, Vince Gill. 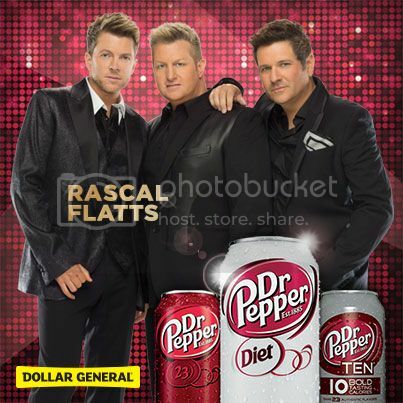 One of my absolute favorite country music bands from my early years until now has been Rascal Flatts, though. Not only are the guys pretty easy on the eyes and have great voices and talent, but many of their songs are so meaningful and beautiful. In fact, several of their songs have really hit home for me over the years and have helped me to get through some of the toughest times in my life such as I’m Movin’ On. Needless to say, I would LOVE to win a free trip to the ACM Awards including a trip down the red carpet with country music stars like the Rascal Flatts! I've never been to any sort of awards show like that, so I can only imagine how much fun and exciting it must be in between bouts of being star struck. If you’d like a chance to win too, just head over to the Dr Pepper ACMA Registration at DollarGeneral.com and enter. Who would you look forward to seeing most if you won? How awesome would this be! My mom would freak out!